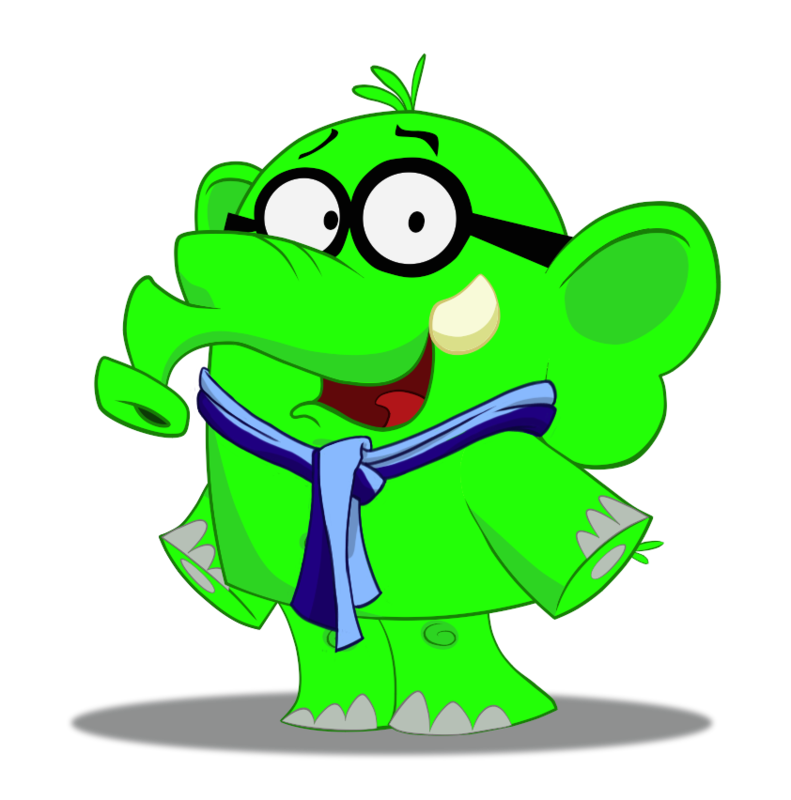 Check out the great review for Squinky & the Witch on AppPicker.com. When it comes to learning, apps have opened a whole new and exciting avenue for kids. Thanks to the animations, activities, and interactions apps offer they can not only capture the attention of kids quite well but also provide some fabulous learning experiences. 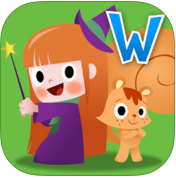 The Waka: Squinky & the Witch app for your iPad introduces kids to shapes, color, and sizes through an interactive, engaging, and animated story. The story offers plenty of opportunities for them to learn and absorb a number of basic skills. When kids launch this app they will be thrown into an engaging and animated story that they can follow along with. It offers up five minutes of classic style animation and interactive features throughout. Waka Squinky and Una the Witch are trying to make a cake and they need the help of kids. Kids will be working to find all the ingredients they need. After finding the ingredients it’s time to mix them up and then bake the perfect looking cake. Kids can also help Una the Witch use her magic powers. The app has just one in-app purchase but the good news is that kids won’t be able to access it and purchase on their own. The app doesn’t currently have a customer rating but comments are generally quite positive from other users. In the most recent update of this app there were some improvements made to the graphics plus a number of minor bug fixes. This is one of those apps where although it’s made for kids it is encouraged that parents work and read with them. There are no time clocks ticking and no score keeping. It is meant to be a fun and non-stressful environment for kids to learn. I think where this game really excels is in its graphics. They are just perfect for young children and do an excellent job of entertaining kids. The questions are simple in how they are worded so that young ones don’t feel frustrated or confused by the instructions. There are also a number of other educational features such as words being highlighted in the color they are speaking about/describing. The user interface is of course child-friendly so that parents have peace of mind knowing the kids can’t get into anything they shouldn’t be in. The app states that it is meant for kids ages four and older but even younger kids can enjoy this one and learn from it. The Waka: Squinky & the Witch app for your iPad is a really fun way to spend time with your kids learning about basic things such as colors, shapes, and sizes. It will have kids entertained from start to finish. 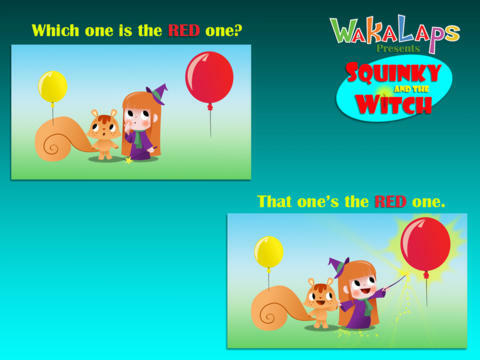 Our first animated, interactive story featuring two of my friends here at Wakalaps: Squinky Squirrel and Una the (learner) Witch. These two are going to get a lot more attention at Wakalaps in 2014, but don’t tell them or they’ll get big heads. Waka Squinky & the Witch is for little ones, from 3 to 5 years, the adults can play too, help Squinky, Una and their friend Shy Sheep make a cake with magic! An animated, interactive story featuring Squinky Squirrel & Una the Witch. It’s free to download with a once off in-app purchase, but that’s behind a parent gate so little fingers don’t have access.